If you like to enjoy the afternoon playing a game of family football, then this is the perfect place for you. Our wide-open areas are perfect for sports of all kinds from football to volleyball to archery or croquet. Or become an honorary Texan with a game of horseshoes. Ready... Set! Dig! Spike! Picosa Ranch’s wide open spaces are perfect for a volleyball net. You can enjoy friendly competitions with friends and family with the flexibility of setting up anywhere there is open space. Tennis is a year-round activity at Picosa Ranch. Our tennis court is located in The Oaks Area and is surrounded by beautiful views. We have all the gear you will need to win a match. With warm summers and mild winters, tennis enthusiasts can take advantage of this activity every month of the year. Teaching youngsters? We can do that too. Croquet is not just for our friends across the pond anymore. Our expansive fields and open spaces make croquet one of the best games to enjoy at Picosa Ranch. Challenge your friends and family to a friendly match and learn why it has been popular for so long. Take a breezy bike ride through the ranch roads, passing cattle and exotic animals, all while enjoying beautiful vistas. The main ranch roads are easily navigable by bike and offer a host of enjoyable scenery without even leaving the trail. Clear your head with a lone early morning ride, or get a group to explore together. Take a breezy bike ride through the ranches roads, past cattle and exotic animals, all while enjoying beautiful vistas. 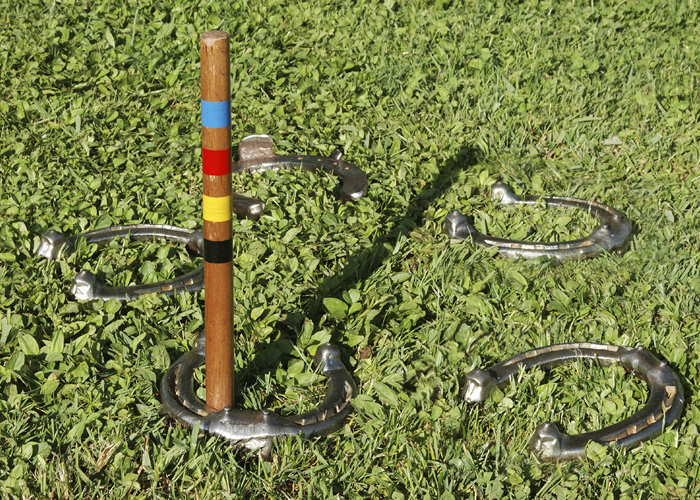 When the day is winding down or it’s time for an afternoon break, horseshoes are the game of choice. Another long-loved Texas past time, teams of two will challenge each other to try and toss the most horseshoes around stakes in the ground from a far distance. The team with the most horseshoes at the end wins the game. Are you ready for endless hours of Texas fun? 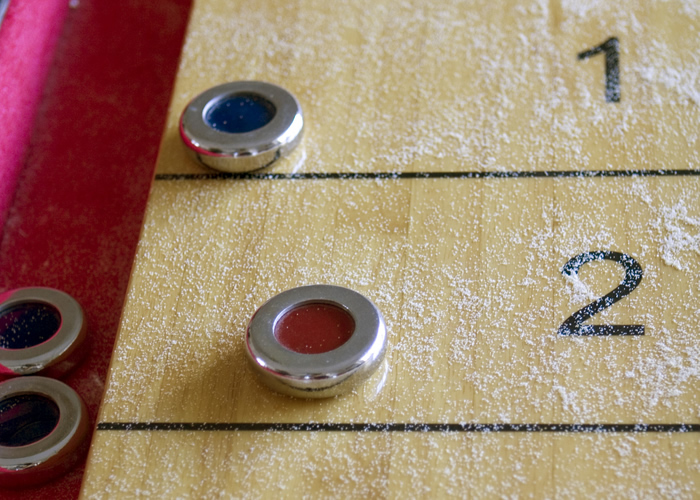 Everybody enjoys a good game of shuffleboard. Or maybe you are more of a pool player. You are in luck, the South Range Lodge has both. 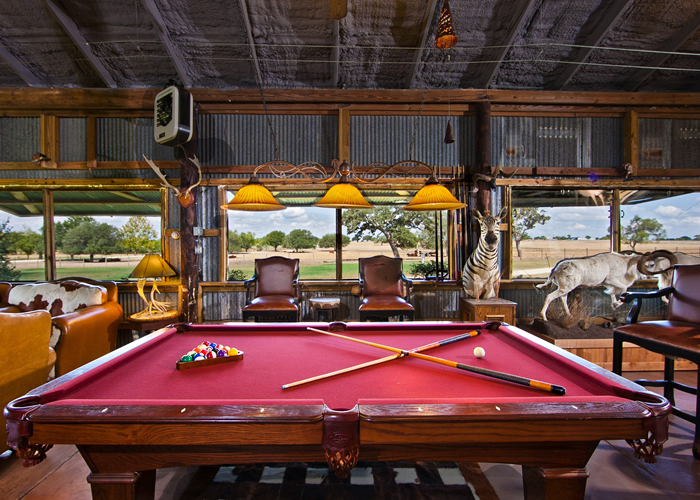 Spend hours in the beautiful lodge playing against your friends and family for the official Picosa Ranch champion title. While playing, you will have full access to the sound system, bar area, television and kitchen. Learn how to shoot a bow and arrow like a pro with our skilled instructors. The Picosa Ranch team will provide personalized instruction and tips on how to accurately shoot at set up targets. Hone your skills during an afternoon of practice.